I was 47 when my husband and I retired fromCalifornia’s fast pace and settled into the quiet life of rural Virginia. That’s also when the pounds started settling on me. After all, the “good life” meant doing less and eating more. Over the course of 10 years, I gained 40 lb. 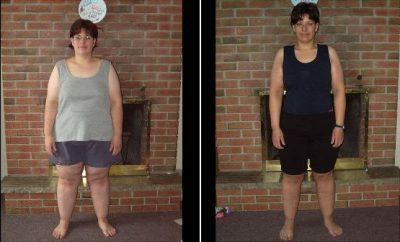 I went from being thin all my life to nearly busting the seams on my size-14 jeans. I was 5’4″, and I weighed 172 lb. Then in December 1996, I was diagnosed with breast cancer. 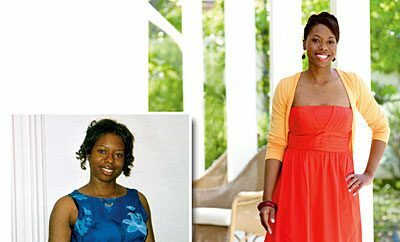 After having surgery to remove the cancer, I began a type of chemotherapy that, my doctor warned me, could cause weight loss–or weight gain. Of course, I gained. Most days, I lounged around indulging in the comfort foods that friends brought. Occasionally, I’d muster up enough energy to walk 300 yards for the morning paper, or the strength to do the dishes. For the next 6 months, little changed. By June 1997, I weighed 181 lb. Like it had happened overnight. After putting so much bad stuff into my body, I wanted to do something really good for myself. I knew that fad diets weren’t the answer, since I’d watched many friends gain back all their lost weight. I wanted lasting changes. The nutritionist measured my body fat and hydration levels-which, not surprisingly, rated “poor.” Then she counseled me on my diet and on the importance of drinking water, taking vitamins, and exercising. For the most part, her expert advice sounded easy to me. I started tracking my fat intake, eating five small meals a day, and taking a daily multivitamin. I really took to the drinking rule. I kept a 16-oz insulated glass on my kitchen counter and marked down every 2 cups I drank to reach my goal of 8 to 10 glasses a day. My complexion improved, and my skin softened the more I drank. I became less prone to colds too. But the hard part, the advice I really had trouble with, was the exercise. The word alone made me cringe. Then a friend loaned me her walking tape. Amazingly, I loved it from the start. I found myself looking forward to my walks, which took me around my neighborhood four times a week for 45 minutes or 3 miles. I walked briskly to the beat, swinging my arms in sync with the music. It was–and still is–my favorite way to start the day. I didn’t bother to count calories, yet I actually ate healthier. I devoured fruits and vegetables and made smart substitutions such as topping my baked potato with butter spray, fat-free sour cream, and chives. Desserts were also fat-free: angel food cake with strawberries and fat-free whipped cream, or a reasonable portion of fat-free pudding or ice cream. And I never felt guilty if I splurged a little, as long as I went right back to my routine. Today, my blood pressure is healthy, and a recent bone-density test shows that a weak spot I had years ago has improved greatly–thanks to the strengthening impact of walking. Recent checkups also show that I’m still cancer-free. Ironically, my cancer and chemotherapy, which were largely my motivation to change my lifestyle, may have increased the number of years I’ll live. I guess it’s true: Sometimes out of adversity comes a blessing. 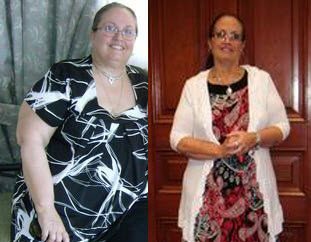 Canadian Woman hoping to inspire…..